Please tell us a little about your life, marriage, ministry, and some of the current ministry projects you are working on (0:22). 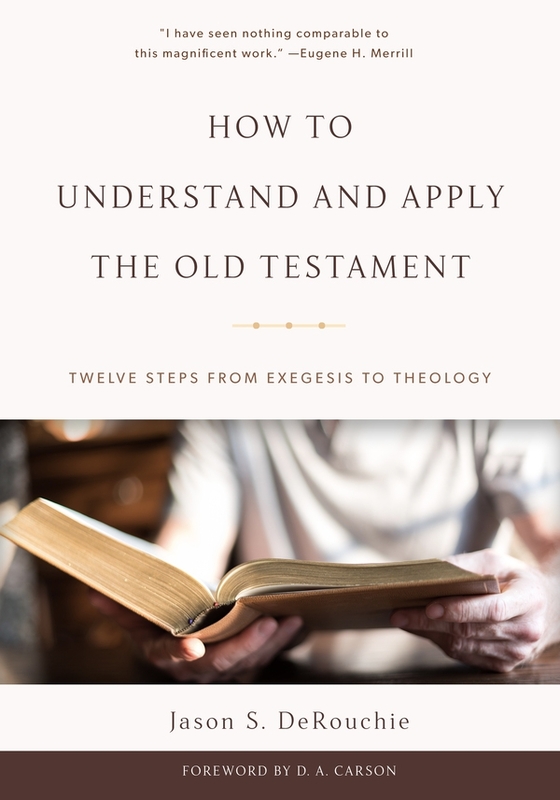 Please tell us a bit about your book How to Understand and Apply the Old Testament, why you wrote it, and how you hope it is received (1:30). Why is the Old Testament important for Christians to read (9:22)? What are some of the principles that guide your approach to biblical interpretation (15:33)? Why is asking, “What is the makeup of the biblical passage?” so important (21:33)? How do we observe how the biblical passage is communicated (25:23)? What process should we utilize to discover the context of the biblical passage (27:41)? How does a growing understanding of biblical theology help Christians to study how the whole Bible progresses, integrates, and climaxes in Christ (30:25)? How should Christians begin to discern how a biblical passage theologically coheres with the whole Bible and then to assess essential doctrines, especially as they have direction to the gospel (34:42)? How does one apply the biblical text to oneself, the church, and the world (38:03)? Tell us a little about the KINGDOM Bible Reading Plan found in the appendix and how you want Christians to utilize it (46:15)? Give us four or five of the biggest takeaways you hope readers will gain from your book (48:17). Dr. Jason DeRouchie (PhD, The Southern Baptist Theological Seminary) is a churchman and professor of Old Testament and Biblical Theology at Bethlehem College and Seminary. He is a passionate teacher driven to exalt Jesus from the Old Testament and to help Christians better grasp why the initial three-fourths of the Bible matters for Christians.